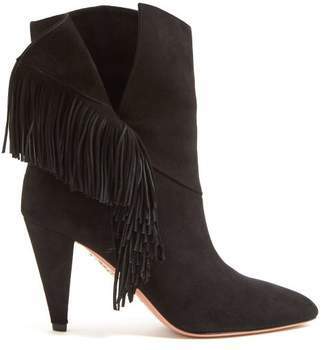 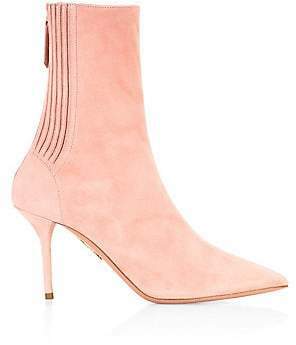 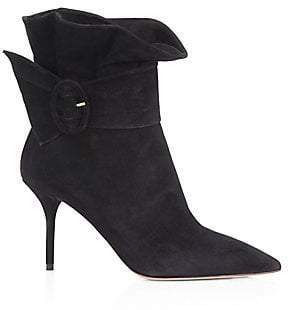 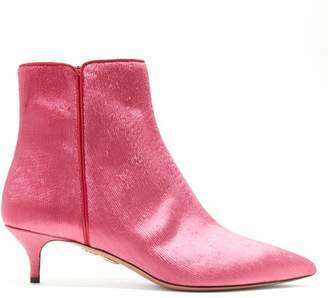 We could definitely imagine British-French actress and singer, Charlotte Gainsbourg in a pair of these smartly named Aquazzura boots walking the streets alongside famous mom, Jane Birkin. 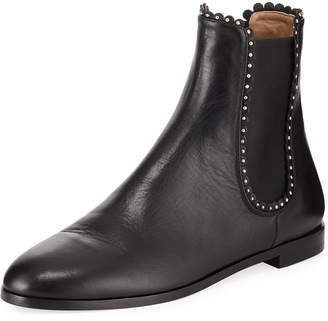 They've been made in Italy from supple suede and lined in leather so they're easy to slip on and off. 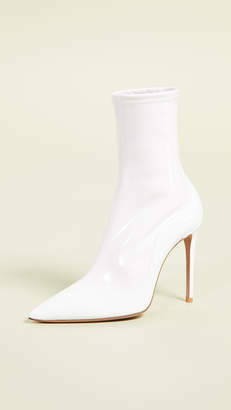 This knee-high pair has a sleek pointed toe and modest 85mm heel that's ideal for days when you're on feet for hours. 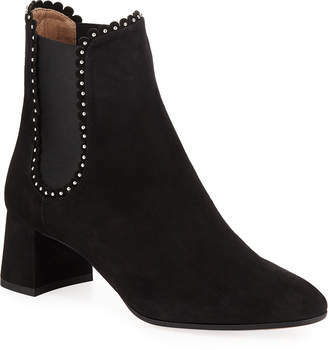 Wear them slouched down with midi skirts or pulled up over skinny jeans.